From radioactive remains to entertainment news, check out this week’s quick overview of what is making headlines in the cancer space. March is National Colorectal Cancer Awareness Month. “Don’t Assume” is the theme for the Colorectal Cancer Alliance’s 2019 public awareness campaign. With this, the organization says, “Don’t assume that you’re too young for colorectal cancer; don’t assume you’re alone and don’t assume we can’t beat colorectal cancer and end this disease in your lifetime.” They added that their goal is to challenge assumptions and misconceptions about colorectal cancer by dispelling myths, raising awareness and connecting people across the country with information and support. “Smart pills” are helping chemo patients remember to take their tumor-fighting medications. It is estimated that 50 percent of patients with chronic diseases don't take medications as prescribed in the US. Therefore, University of Minnesota Health pharmacists are attaching digital sensors to chemotherapy pills in order to detect when cancer patients are forgetting to take their medication. Ingestible sensors are attached to the pills, which send signals to receiver patches the patients wear on their stomachs. The receivers transmit the information to the doctors medical and patients’ mobile phones. 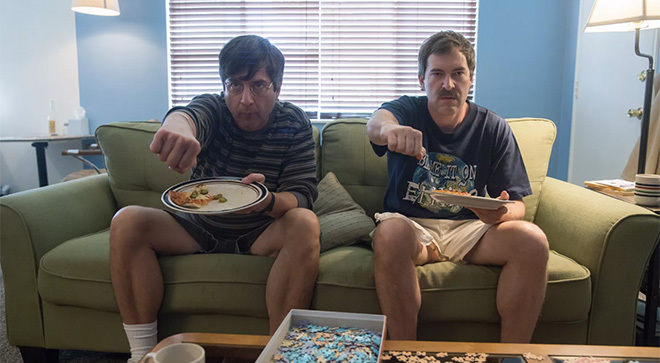 A new Netflix film starring Ray Romano and Mark Duplass, “Paddleton,” touches on living with cancer and "Right to Die" issues for terminal patients. “Paddleton” is the story of two best friends whose dynamic shifts when one of the pals is diagnosed with terminal cancer. Duplass plays Michael, who decides to exercise his end-of-life options before he fully succumbs to his illness. Michael’s best friend, Andy, is played by Romano, who struggles to imagine a life without Michael. The film centers around the friends’ journey to obtain the prescription medicine Michael will take to end his own life while he is still relatively healthy and cognizant. An Arizona man was cremated after he passed away at a hospital from complications due to pancreatic cancer, but nobody knew he was radioactive at the time. In 2017, the man had been injected with a radioactive compound, lutetium Lu 177 dotatate, to treat his tumor a day prior to his death at a different hospital. When his remains were cremated, this radioactive, potentially hazardous dose was still inside his body. This case was reported in a research letter earlier this week. Researchers analyzed the crematorium operator's urine to see if the individual had also been contaminated by radiation exposure and found a different radioactive isotope present in the worker’s urine, called technetium Tc 99m. “Cremating an exposed patient volatilizes the radiopharmaceutical,” reported researchers from the Mayo Clinic, “Which can then be inhaled by workers (or released into the adjacent community) and result in greater exposure than from a living patient."